Will Being Polite or Friendly Cost You Points on the TOEFL? When learning a new language, you need to know more than just the vocabulary and grammar structures. Understanding cultural rules is just as important as knowing the language rules, and as a result, topics regarding everything from spacing to hygiene to body language are often touched upon in the language learning classroom. It is good to know how to be polite in the language that you are studying, but is it possible that sometimes what we perceive as politeness is actually costing us points? Like many other types of rules, the rules regarding politeness are situationally dependent. In other words, the context of the situation may determine what is polite and what is not appropriate. In fact, sometimes what you may perceive as considerate might be the very thing that is preventing you from making progress on the TOEFL or developing good relationships after test day. On the TOEFL iBT, you must type your answer to the independent and integrated essay. While you already know that being able to type quickly and accurately is important for being able to reach your goal score within the time limit, the way in which you type does matter. You may have noticed that people tend to put things that are extremely important in all capitalized letters in order to draw the reader's attention to that word or phrase. Perhaps you've gotten an email or text message that says you need to be in a specific location at 9 AM SHARP, for instance. While it is true that native English speakers will sometimes use all caps in order to bring your attention to valuable information, you do not want to do this on test day. Writing your entire essay in all caps will not suggest that your essay is important. Instead, think of writing something in all caps as the equivalent of yelling as that is how most native speakers will read it. If you've ever received an email from a colleague written in all caps, it will seem either like they are very mad at you or it will seem unprofessional. On test day, it will be impossible for the grader to understand if you know the correct rules regarding capitalization if you capitalize everything. After you get into the university program you desire, if you send an email in all caps, it is likely to be received as pushy and offensive. On both test day and in emails to your professors or fellow students after the TOEFL, make sure to avoid using all caps. When texting, many native speakers will use the letter u to mean you or other similar abbreviations for common words. In a casual situation between friends, this would not seem unusual. Even though an abbreviation like b/c or btw could be understood by a native speaker test grader or professor, it would seem incredibly inappropriate for that audience. Always use formal language and a formal register when writing in these situations. While you don't need to give a title for your independent or integrated essays on the TOEFL, you will need to write a subject line if you are sending an email to a professor. Don't leave the subject line blank and don't use cutesy emoticons in the subject line, either. While this would be okay if you are emailing someone who you are close with, emailing someone in a position of authority, especially if you select an emoji like the kissy face will seem very awkward and uncomfortable for the person receiving your email. If you are writing an email, it is considered polite to thank the other person. In fact, many people use some variation of thank you as their closing (the part before they sign their name). However, on the TOEFL itself, you absolutely do not want to finish your essay or your speaking response with the sentence "Thank you for reading my essay." First, it is not the standard convention to do this in a formal essay in English. Second, you might be hiding an excellent last sentence. Because the scorers will be reading your essay quite quickly, they might overlook the strong closing sentence that you composed before this fake one that isn't actually contributing to your essay overall. Wasting another person's time-- whether this is the scorer of your essay or your current course instructor-- is inconsiderate. In American culture, there are certain expectations regarding the set up of the ensuing conversation or essay, and skipping this could seem strange, pushy, or blunt. For writing, your first sentence should be related to the topic but should not provide your entire answer to the question yet. In speaking, it is even more important to correctly introduce the request that you are making. Phrases like "do you have a minute" before making a request are considered standard whereas simply saying "I need X" seems impolite or even self-centered. Frequently students try to be extremely accommodating, trying to show respect to those who are in a position of power, whether this is the essay scorer or their instructor. One way people try to show how agreeable they are is by letting the other person make a decision or by trying not to take any stand on an issue as a way of circumventing potential controversy. For independent essay questions, the TOEFL frequently will ask you for your opinion on a topic. You absolutely want to take a clear position. It will make for clearer writing and allow you to more completely develop your thoughts. It is also easier to compose an essay where you aren't trying to split your time between all sides of an issue and will not cause you to potentially contradict yourself. Some students, in an attempt to make sure that no one is offended, try to entirely avoid giving an answer that favors one side. Non-native speakers might do this by using the phrase "I don't care." Without context, however, this can come off as extremely rude. It sounds like you are dismissing the topic as ridiculous, unimportant, or even stupid, inadvertently creating a situation that is probably more offensive than just having stated your actual opinion in the first place. If in situations outside of the exam, you want to indicate that you are deferring to the other person to make the choice, use a phrase like it is up to you to sound just like a native speaker. On the TOEFL listening, you might even hear two students use this phrase when deciding what club to join or a professor say it to a student in terms of what topic they should choose for a paper. Stay polite and contextually appropriate by following these guidelines on the TOEFL and in university interactions. Put into practice what you’ve learned by practicing with 30 free essay prompts today. Thank you! Click here for your essay prompts. 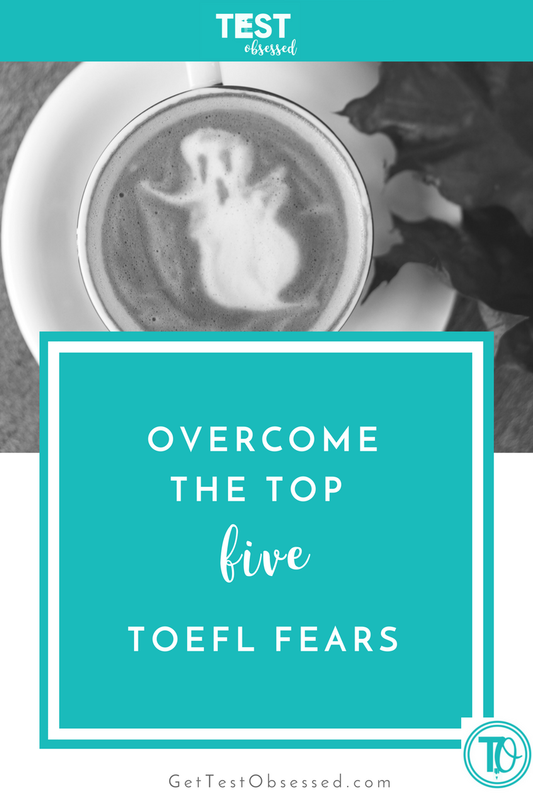 Check your email for even more TOEFL tips.